Incorporated in 1981 in upstate South Carolina, Computer Dynamics, Inc. (CDI) originated as a board-level supplier of STD Bus products for industrial automation and control. Our extensive electrical engineering capabilities led to the development of our first PC-compatible 808x- based single board computers capable of driving flat panel displays. Driven by customer demand, we introduced the first flat panel display computer and monitor systems in the early 1990s. 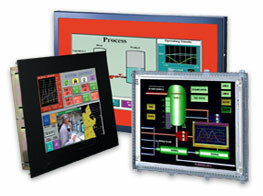 In striving to be your chosen industrial flat panel monitor manufacturer and industrial computer provider, we continue to expand the capabilities of these platforms to include the widest range of open-frame and enclosed systems for the industrial environment available. In January 1999 CDI joined the General Electric Company with our acquisition by GE Intelligent Platforms, headquartered in Charlottesville, VA. In May 2012 CIMTEC Automation (http://www.cimtec.com) based in Charlotte, NC acquired the assets of CDI from GE Intelligent Platforms. CIMTEC will provide all repair and support services for the CDI line as well as CDI products for new applications. For the past 25 years, CIMTEC has been a top distributor of GE PLC and other automation products. For the past 20 years, CIMTEC has been repairing GE PLCs and other automation equipment in Charlotte, NC. The addition of the CDI product line is a natural addition to CIMTEC's current repair and new product offerings. We invite you to bring us your application requirements and allow our talented group of application engineers to help design the best, most cost-effective solutions, whether based on existing products or custom derivations of our standard platforms, tailored to your specific application and environment. processors to Core™ i7 processors. Our systems offer all PC-compatible functions providing low-power, wide temperature range performance and diskless operation systems. Flat panel computers and Industrial Workstations are available in a variety of mechanical configurations ranging from open-frame to complete enclosed products with plastic enclosures and full agency approvals. We understand the need for OEMs to control component changes in their designs, and our control over the product life cycle provides that service. 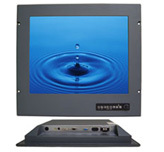 Flat panel monitors allow the advantages of a flat panel operator interface to be realized with almost any video signal, including standard RGB, Synch-on-Green (SOG), Composite Synch, NTSC and PAL. 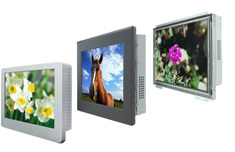 As an industrial flat panel monitor manufacturer, we offer systems with flat panel displays ranging from 6.4" through 47" are available as open-frame solutions or with a variety of enclosure and mounting options. Our systems are designed for high volume users in demanding mission critical applications. 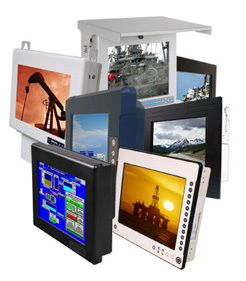 These systems allow you to custom configure a variety of enclosures and computer horsepower to fit your requirements. Our systems are available with active and passive PCI Bus backplanes that also continue to support your legacy ISA cards. From small 2-4 slot systems to 4U and higher rack-mount systems, we provide the options that can complete your projects with the highest reliability. Whether or not you need a display, call our Applications and Sales Specialists to help you with your project design needs. CDI’s long term commitment to its customers is to provide cutting edge products for the lifetime of their projects. This commitment is most evident in our custom designed systems. Many of our products are seen only by the specific customers for whom they were designed. Our Design experience allows our engineering team to be an extension of yours. We have experience designing custom systems for Military, Marine, Oil and Gas, Pharmaceutical, Medical and Transportation industries and markets. With custom enclosures, computers, embedded systems, displays and touchscreens, our Applications and Sales Specialists can help you with any of your custom or semi-custom requirements. Although we count many end-users as valued customers, CDI's focus is on the OEM. We strive to become involved in your application early during the development stage and work with you to design an optimal solution, whether based on standard products or a custom design. Our markets are wide-ranging and we serve many diverse industries, including: Medical, Semiconductor, Oil/Gas Extraction and Processing, Tollbooth Automation, Marine and Vehicular. Though dissimilar, each of these markets requires the quality, reliability, support and long-term product longevity Computer Dynamics offers in all of our products. Thank you for visiting our site! We look forward to talking with you about your application!